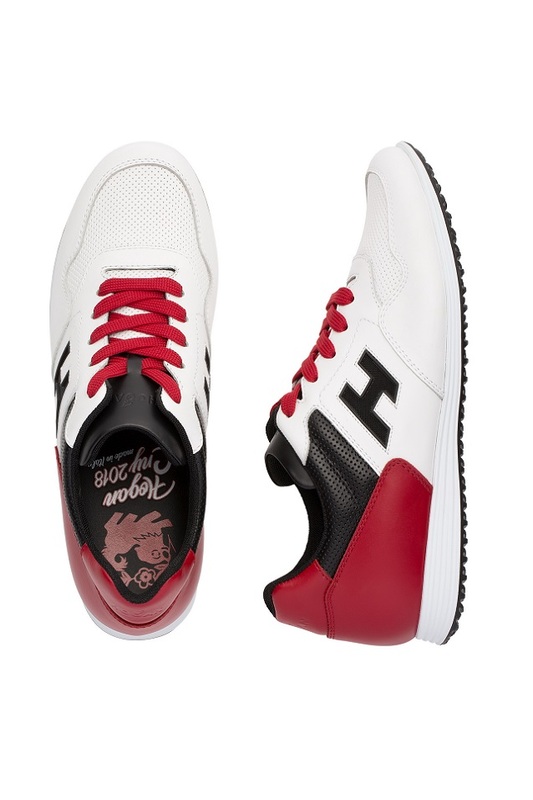 HOGAN 2018 year of the dog limited edition packaged with festive colors and details. 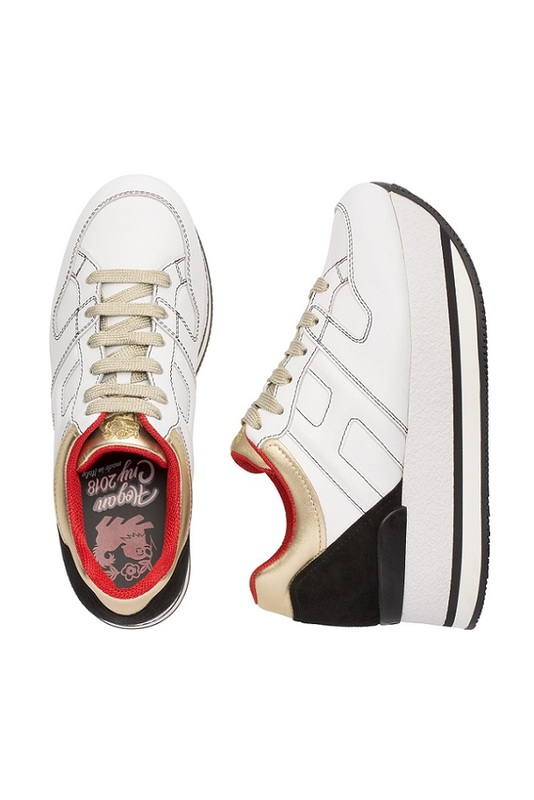 Three exclusive limited edition sneaker styles are introduced where the fabled animal of the zodiac is subtlety printed on the in-sole, symbolizing fortune. 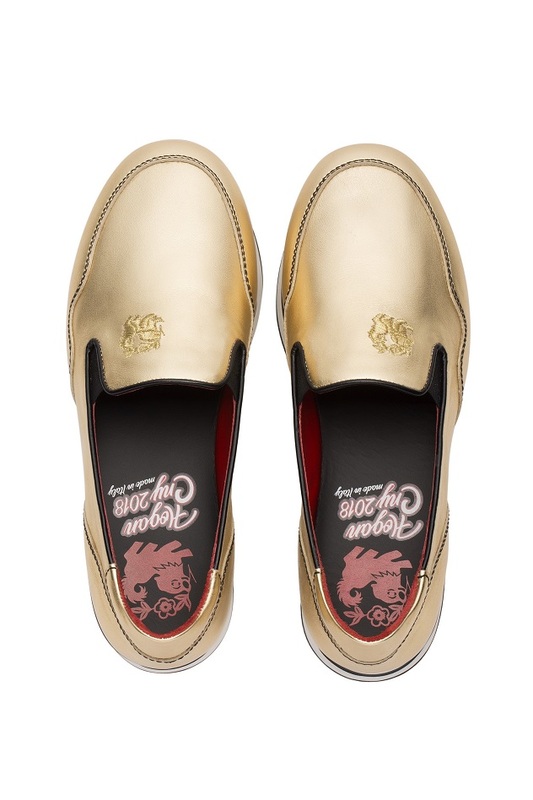 The brand’s iconic H222 sneakers are designed in gold metallic leather slip-on style with the dog symbol luxuriously embroidered on the vamp as a good luck sign. The H222 maxi-platform sneakers is distinguished by ultralight platform and gold metallic leather mouth. Olympia x, the modern ultralight sneakers for every occasion is enriched by the high-tech fabric inserts and color blocking in black and red to give a vibrant contrast. the unique designs by hogan perfectly represent the brand’s casual-chic lifestyle.